Securing a visa to visit Russia is a notoriously arduous process. Skip the hassle on this visa-free, small-group, three-day tour of St. Petersburg and Moscow, which includes a visa waiver. 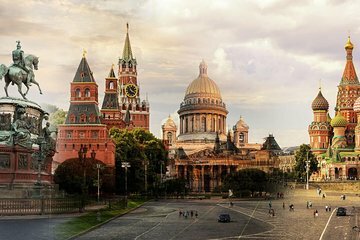 See the highlights of both cities, including the Church of the Savior on Spilled Blood, Catherine Palace, the Kremlin, and Red Square with all transportation included.